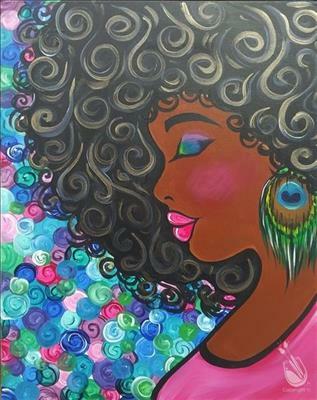 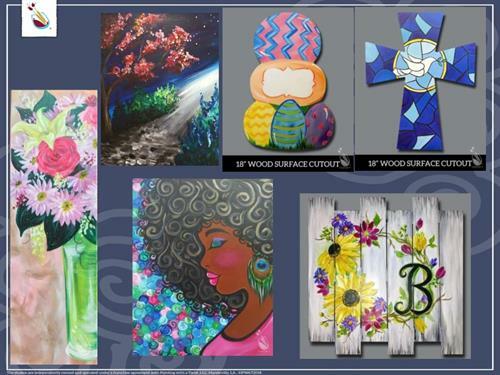 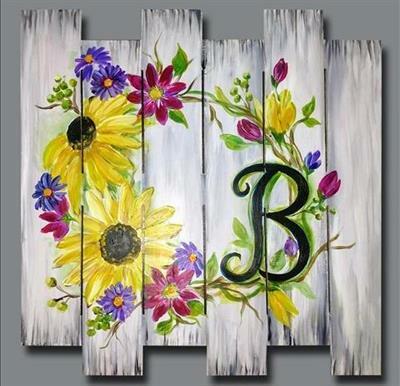 These are our amazing events this week/weekend, starting with Peacock Goddess tonight, followed by Happy Wreath on an 18" wooden pallet, & a beautiful floral/vase on a 10x30 canvas. 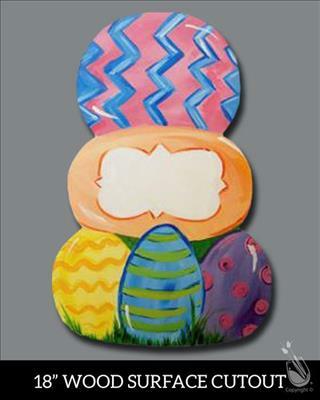 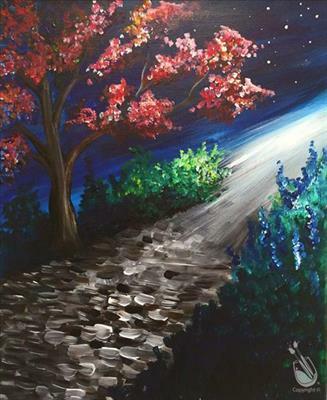 Saturday we will be painting this cute wooden cutout Easter egg & this gorgeous moonlight painting. 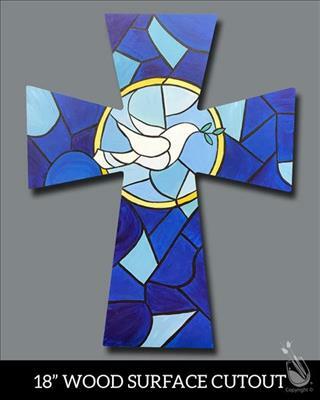 We will wrap up the weekend on Sunday with this beautiful "stainted glass" wooden cutout cross with a white dove.